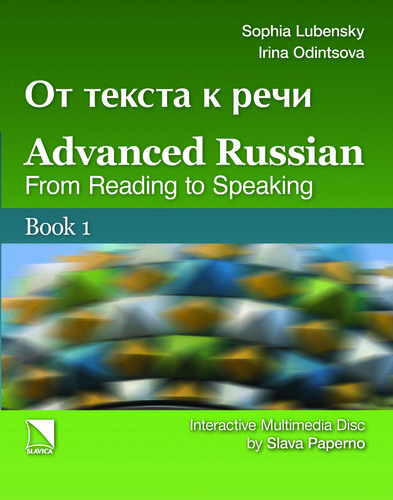 This innovative suite of instructional material for advanced students of Russian is aimed at fostering their transition from slow, controlled speech to native-like fluency. The driving methodology is lexicalist-oriented, implying an emphasis on the situated internalization of vocabulary, so that grammar skills develop naturally with the repeated use of particular words and phrases in combination. The textbook centers around authentic stories by contemporary Russian writers, supplemented by cultural background, various activities, and the treatment of select grammatical points. These stories will not only challenge students to read real Russian, they will also provide a stimulus for free discussion about social circumstances, human relationships, and moral values reflected in the literature. The text is accompanied by cloud access to multimedia materials designed by Lexicon Bridge Publishers. These are the first instructional materials for advanced Russian that are oriented around unmodified literary texts; focus on the development of fluent speech; use cutting-edge technology to support guided reading; offer microtexts as the basis for numerous activists; provide detailed and varied potential responses to open-ended questions; and underscore the one point that almost goes without saying: that one cannot master a language without knowing the words.